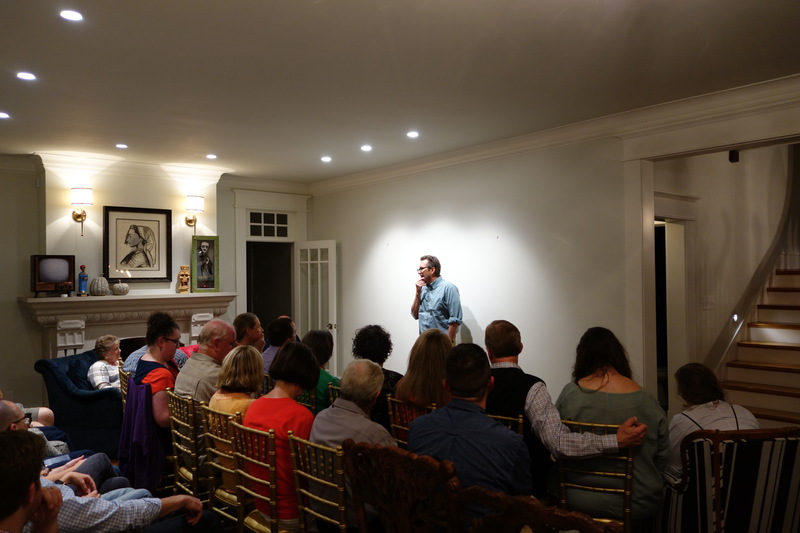 Miller Eccles Study Group Texas was pleased to host Steve Peck at study group meetings in McKinney on Friday, October 13, 2017, and in Arlington on Saturday, October 14, 2017. His topic was “Making a place for evolution in Mormonism: Why it matters”. 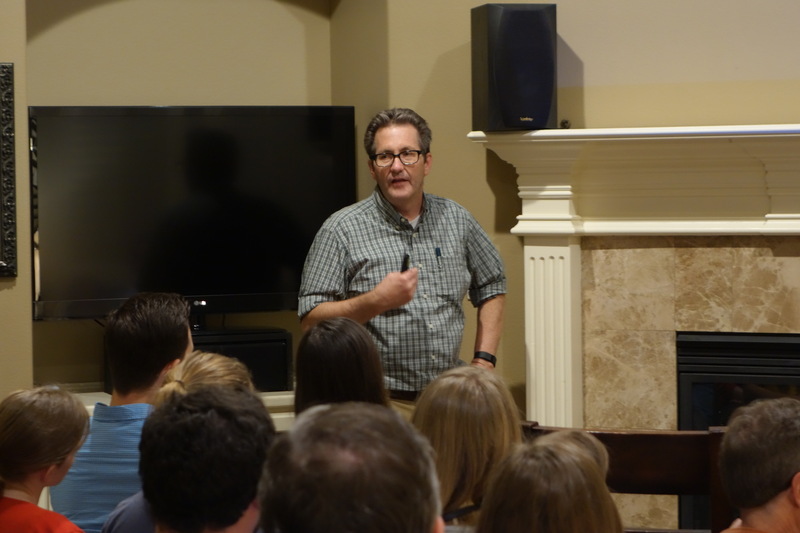 Steve Peck speaks to Miller Eccles Study Group Texas attendees in McKinney on October 13, 2017. 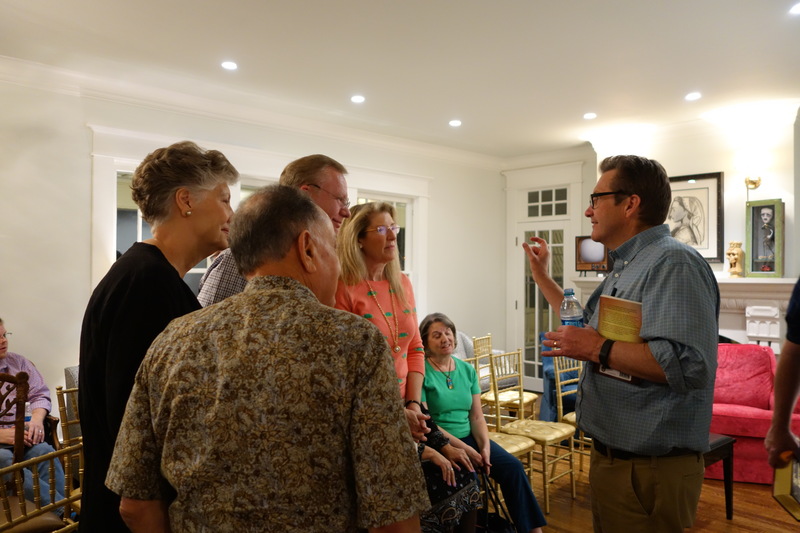 Steve Peck visits with attendees of Miller Eccles Study Group Texas after he concluded his presentation in McKinney on October 13, 2017. 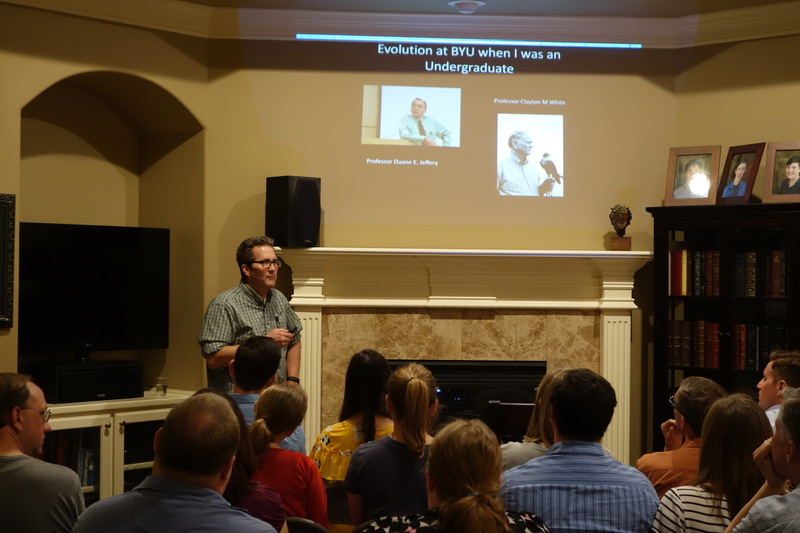 Steve Peck speaks to Miller Eccles Study Group Texas in Arlington on October 14, 2017. 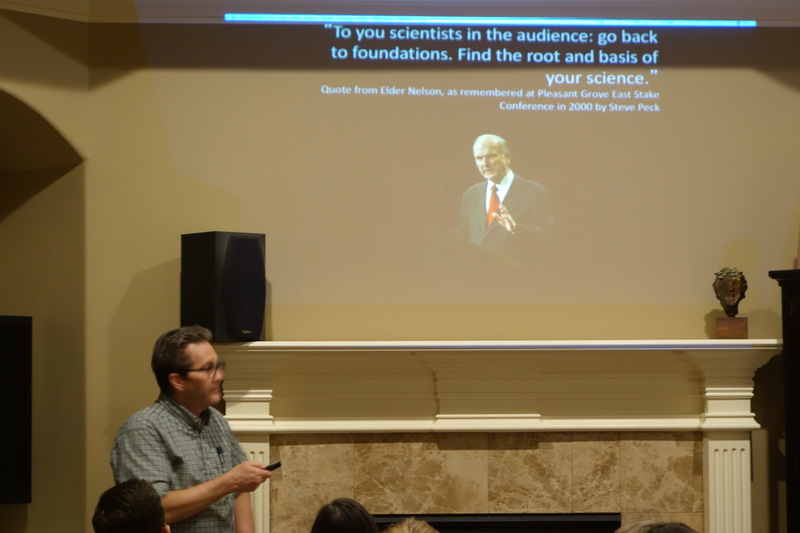 Steve Peck displays a quote by Russell M. Nelson at a Miller Eccles Texas Study Group Texas presentation in Arlington on October 14, 2017. Steve Peck speaks to attendees of Miller Eccles Study Group Texas in Arlington on October 14, 2017. 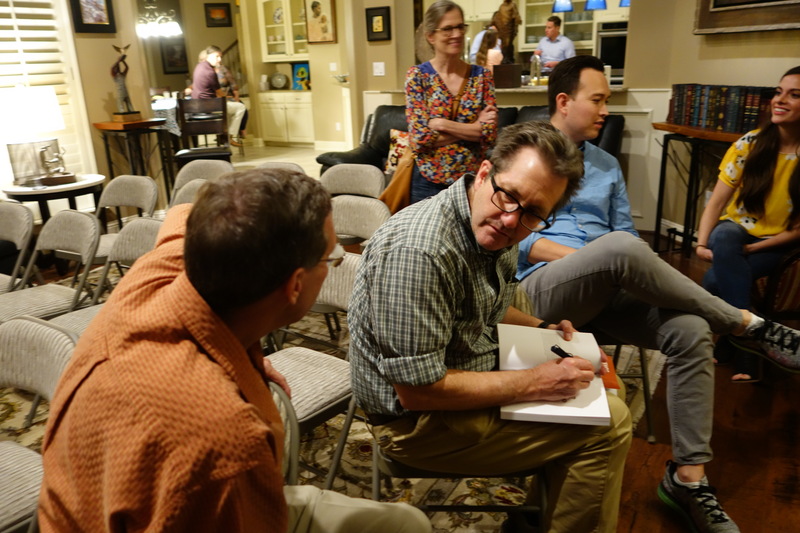 Steve Peck signs a book for a Miller Eccles Study Group Texas attendee in Arlington on October 14, 2017.